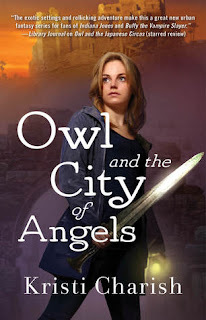 I already know Owl is going to get herself in trouble in this book. I can't wait to see what happens. I've heard soooo many good things about the first instalment, I know I have to read it at some point! OOh nice! I've been seeing this series a lot lately! Hope you enjoy this one!